Throughout the history of performing arts around the world, women have often been pushed away from the stage. In Elizabethan England young male actors would play the women in Shakespeare’s plays, and in Japan women in kabuki were outlawed by the Edo government, thus giving rise to the ‘onnagata’ – male actors specialising in female roles. But there is one branch of performing arts in which a few determined women have survived. Gidayu-bushi, included in some forms of kabuki theatre, is the chanted, shamisen-accompanied narration for traditional bunraku puppet theatre and its forerunner ningyo joruri. Gidayu is performed by the tayu (storyteller), who conveys the thoughts, speeches and emotional landscapes of all the characters on stage, regardless of gender. Women were first allowed to perform this role in the late Edo period, while during the subsequent Meiji period they rose to a status not unlike that of today’s pop stars, with even the Japanese literary class falling for their charms. 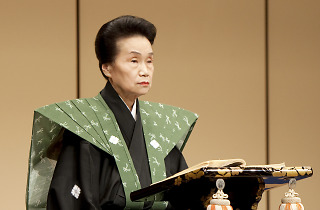 The premier storyteller in the joryu gidayu (‘women’s gidayu’) style is Komanosuke Takemoto, named a ‘living national treasure’ by the Japanese government for her contribution to the artform. 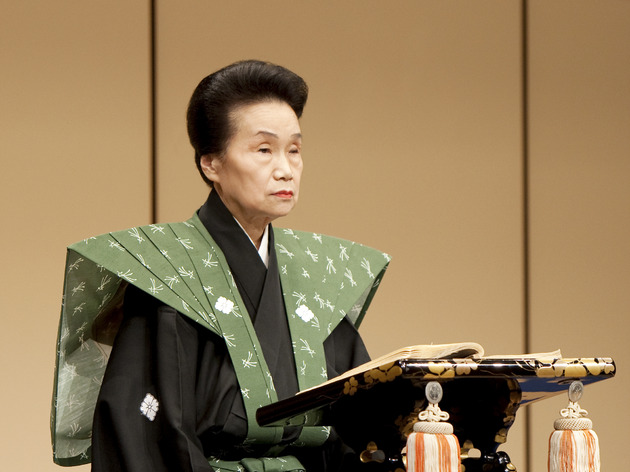 This 81-year-old is a unique performer who carries centuries of tradition on her shoulders. Born on Awaji Island in western Hyogo prefecture, a traditional centre for ningyo joruri, Komanosuke Takemoto became acquainted with gidayu through a school club while attending junior high school. Her gidayu-loving mother helped Komanosuke earn an apprenticeship with shamisen master Tomoji Tsuruzawa, and later with tayu great Shimanosuke Takemoto. ‘My mother would tell me I’m loud and have the plainest face in all of Japan,’ recalls Komanosuke. ‘That apparently meant I was well-suited to be a tayu, as you always need to grimace during the performance. I was forced into it before I really knew anything about it,’ she laughs. Komanosuke eventually had the chance to study under tenth-generation puppetry master Wakatayu Toyotake, who then asked his protégé Koshijidayu Takemoto to teach her. Both men were famed tayu revered in bunraku circles, and training with them was no walk in the park: Komanosuke remembers how Koshijidayu told her ‘I can’t take on a woman student, so I will teach you as if you were a man’. ‘Reciting gidayu is like a battle to the death; you have to put everything you’ve got into it, to the point that when reciting for an hour straight everything would start to go black before my eyes, and when I finished I would think, “gosh, am I still alive?”’ says Komanosuke. Though she discarded her gender when it came to art and devoted herself to training, Komanosuke did play the part of a wife in real life. Scrambling to combine housework and child-rearing while also looking after her long-time master Harukoma Takemoto and mother-in-law, both of whom also lived in the same house, she often struggled with the demands of being a woman. 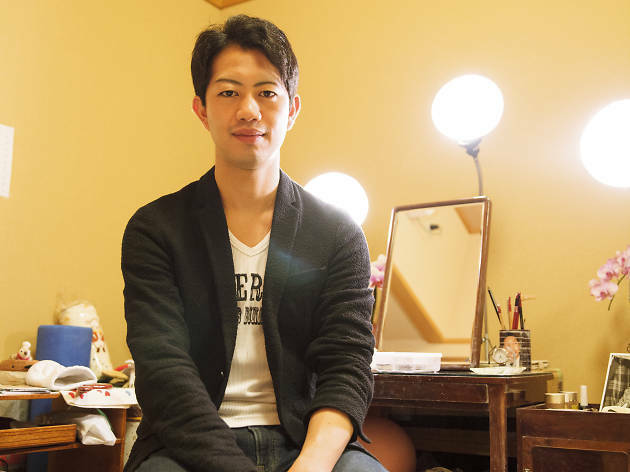 ‘Joryu gidayu isn’t performed very frequently, so you can’t make a living doing just that. I did consider [giving up my work for] some favourable marriage proposals back in the day,’ laughs Komanosuke. In a way, Komanosuke’s life is itself the story of her art. ‘A famous tea vessel, or any object of beauty, must be left untouched. I believe that in the same way, the traditional arts must be left untouched in form. But on the other hand, the intuition and imagination of a person who has devoted herself completely to the art give flavour to the traditional form,’ she says. 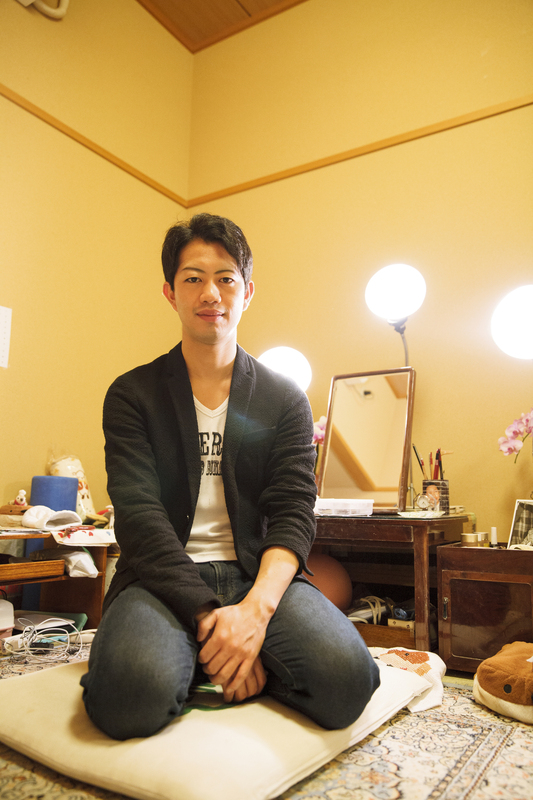 Komanosuke Takemoto will be performing joryu gidayu at the Oedo Nihonbashi-tei theatre on June 20. See full details for the event here.